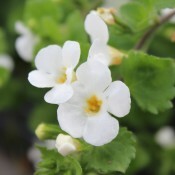 The popularity of Bacopa is unsurpassed in the gardening world. It blooms and blooms and fills your container… whatever it is. It is a wonderful accent or underplanting for Geraniums, Verbena, and other annuals. This sun-loving, versatile plant lends well to mixed containers, hanging baskets, window boxes, as well as a ground cover in the garden. 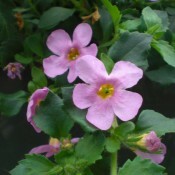 All Tried & True varieties of Bacopa are extremely heat and disease resistant. 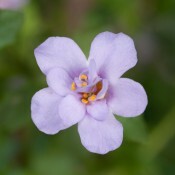 Double Blueberry Shake has decorative, large light blue double flowers. It blooms early and continuously all season long. It is well-branched and compact in growth habit. Excellent for pots, hanging baskets and mixed containers. First double Bacopa on the world market. 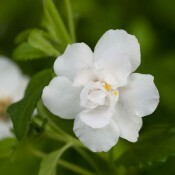 Double Vanilla Shake has decorative, large double white flowers. It is early, rich flowering, well branched and compact in growth habit. Splendid for pots, hanging baskets and mixed containers. An absolute must, this plant will not fail to please. Stunning dark pink flowers from early summer. Ideal in hanging baskets, window boxes, flower beds and mixed containers. 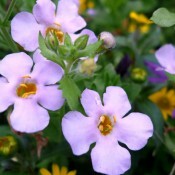 Vanilla Shake is an improved Bacopa with large, bright white flowers. Blooms all summer and is fast growing. It is extremely disease resistant and heat tolerant. 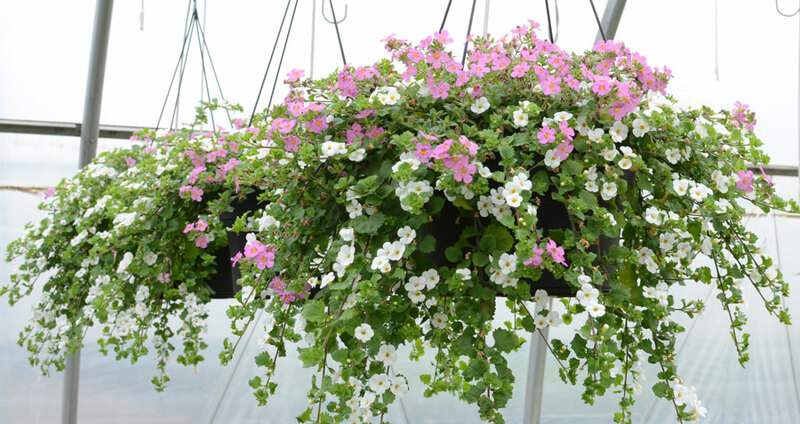 Number One choice in hanging baskets, mixed plantings or flower beds.